Wow, what a milestone year for the Nifty. 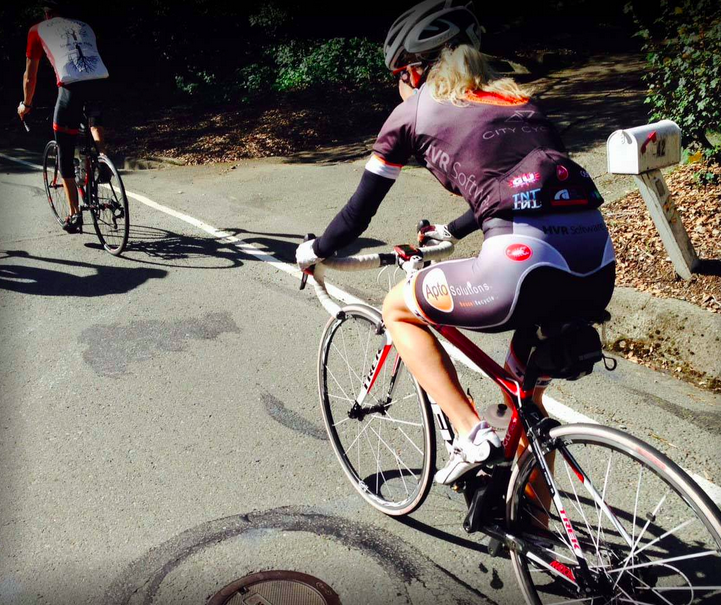 Over 100 riders, perfect weather, enthusiastic crowd, and, well, some growing pains. First, a huge thank you to Peter Repetti, from the Knackered Tyres group for volunteering to staff the rest stop. It made a huge difference to have everything set up nicely vs. past years, grabbing stuff out of my car. Also a big thank you to my friends at Clif Bar for donating all the wonderful product you sampled. Please give them your business. Thanks to Trish Pacheco, Janet Martinez, Cyndi Wong, Josh Dapice, Bill Laddish, and Bill Dunn for leading groups. 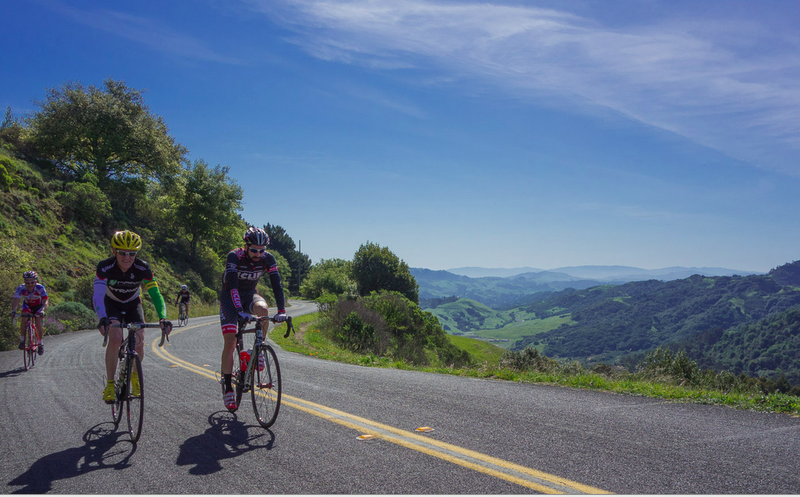 Also a big thanks to all the riders who kept cool, kept safe, but still rode really hard, testing themselves and others on the toughest climbs in the East Bay Hills. And we can boast some good ones here. Additionally, everyone was really cool about the donation, so I was able to put on this event at zero $$ cost to me. It's a lot of work, but the rewards in the form of smiling faces, makes it all worth it. As last year, we had again three main groups, plus the Nifty Lite Crew. The Elite group was small this year, with climber extraordinaire Josh Dapice, Hard Man Bill Laddish, Incredible Masters rider, Ranger Carl Nielson, and Graham Hymus. The "B" group was about 70 and the "A" group about 30. Bill Laddish, Carl Nielsen, Graham Hynes and I convened at Hillside Park in El Cerrito, a smaller but no less enthusiastic group than 2013. We had perfect weather. Bill, Carl and I had done the ride before and Graham had tackled many of the climbs on the prior weekend so everyone was well prepared. We were joined at various points from others including Doran Mori, a Cal student [sorry i didn't catch his name but he was tough! ], (Ed. note: Possibly Tyler Ross), Paul McKenzie and various members of the "A" group. The ride included some of the usual routing snafus but overall we did a much better job of sticking to the route than in 2013. As for the climbs, Marin, South Park, El Toy and Centennial stood out - short enough to fool yourself into going really hard but long enough to realize that you had over committed! Our group stayed together for most of the ride, losing Carl on one of the descents towards the end. 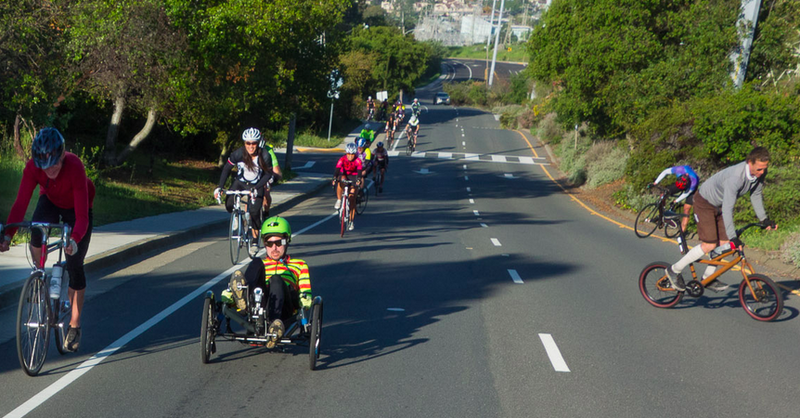 I will reiterate what I said last year: This ride is a great way to set PRs on some of the East Bay's best-known and most difficult ascents. The group aspect makes for friendly competition, and the fact that we generally ease off in between climbs means that people can put in big efforts when it counts. Thanks to Paul for coordinating the various groups and to everyone I was with who rode safely. See everyone next year! Thank you Josh for leading the Elite Group and setting the bar high! I was a bit nervous in the week leading up to the event. Website hits were strong, like 500 per day, and the new Facebook event page led to more social interaction. Sure enough, we had our biggest crowd ever. Last year we had 60-70 riders, and that was a record. This year we smashed that with over 100 riders. There were issues. The original model of having a few guides and everyone sticking together and following no longer works with a group this size, making route finding just a bit too difficult. So there will be major changes for next year. I'll address that in a separate blog, and keep everyone tuned in to what I have planned. At the start a huge group assembled. I gave my speech and sent off the "B" group. I couldn't help noticing that there were many riders in that group who were "A" caliber, but for whatever reason, elected to go with the "B" group. We also had Bill Bushnell and Zach Kaplan on their hybrid electric bicycles. I was thrilled to have them out there. These guys are way ahead of their time, and are exploring a very practical type of transportation that I think we will see much more of in the future. Be sure to check out Mr. Bill's Blog for a full description from the hybrid bike perspective, and also check out his Nifty Photos. The huge B group rolled out at 8:30, probably 70+ strong, and there certainly was some separation. Vajda showed up on his Cannondale Hooligan, a small wheeled bike with four gears, lowest was about 52 inches. The aforementioned "sandbaggers" were immediately off the front, and there would be no way to keep this huge group together. Probably a good thing. Josh Dapice showed up just before my "A" group left and we spoke for a bit. The A group was probably 30 strong. These guys were pretty fast, and I rode at the back of the group up Moeser. 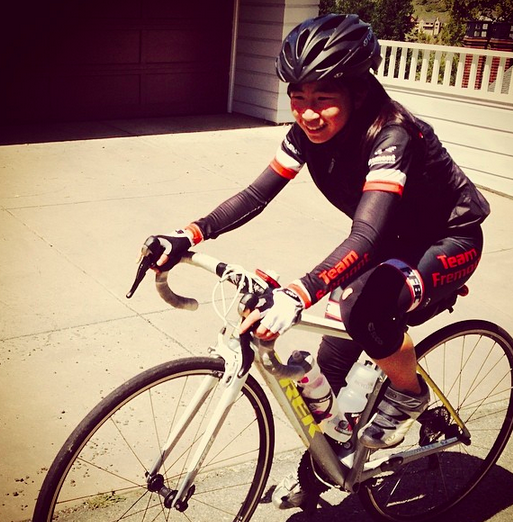 In our group was Chris Lundy, a very strong female climber, who ended up taking the QOM on Marin. I met Chris on the Murphy Mack Spring Classic. Her climbing prowess was obvious there, so I thought she might enjoy the Nifty. It was an honor to have her along and she rode very strong all day, although she unfortunately missed climb #8 and had bad GPS data on #10 which I track in results. But she otherwise smashed the course! Josh and the Elite Group then assembled after the A group left, so three waves total, 8:30, 9:00, and 9:30. Bill Dunn and Brian Crowley comprised the Nifty Lite group, which left at 8:30. I kept the "A" group together for four climbs, and at the top of Lomas Cantadas, I stopped for water and ended up socializing a bit with Wilson Tai, and others at the Steam Trains. 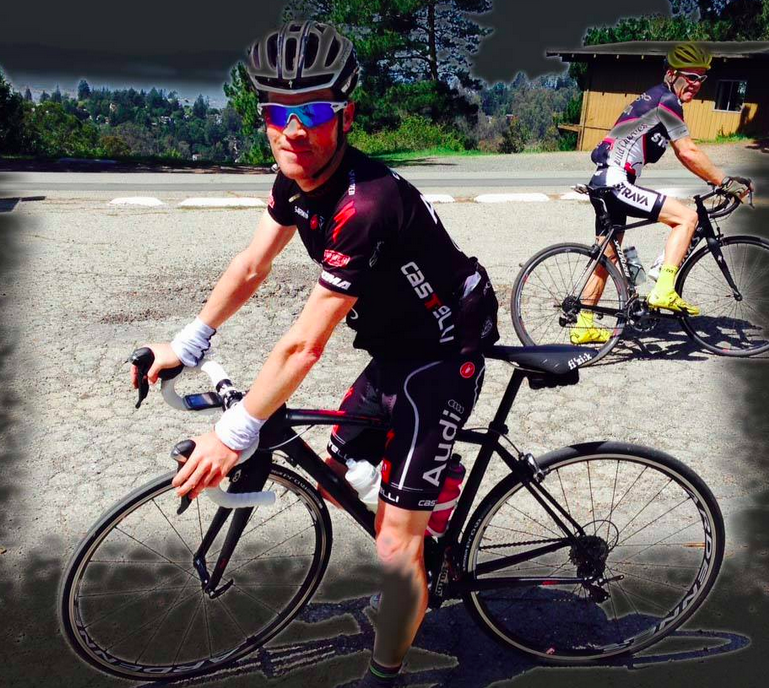 My teammate Kevin Keenan had flatted on El Toyonal and I told him I'd stall the group at the top while he caught up. Well , he did catch up, but my "A" group forged ahead without me anyway! Mid ride we stopped and Peter had the aid station set up. It was so cool to see that. I hung around there for a bit to socialize, and fell further behind, but eventually rolled out of there with Kevin. A proper aid station was set up by Peter Repetti, and he supplied this photo too! Thanks Peter. Later on, Josh passed me on Snake and he waited at the top and I snapped a pic of him. Unfortunately Carl had fallen behind and missed a few turns so he was no longer with the Elite group. But he did his own route to make sure he got plenty of climbing in. Bill Laddish and Graham Hymus worked hard chasing Josh all day. Josh Dapice takes a break after smoking it up Snake. I'd been riding pretty hard and the legs were starting to fade, but being around all these great riders was inspiring. I passed 15 year old Cynthia on Broadway Terrace and it was so cool to see her still plugging along strongly. Certainly the youngest Nifty finisher ever! We got to Peet's with 9 climbs done and one to go. I decided to enjoy a cookie from the bakery. 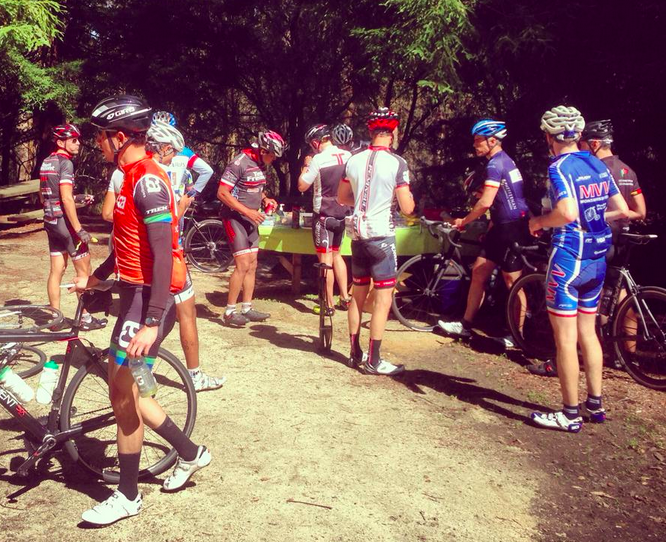 There was a large group there socializing before tackling the last big climb up to Vollmer. I went to the bathroom, and when I returned, everyone was gone! I tried to catch, but alas, the legs were cooked and it was all I could do to slog up to Vollmer at a snail's pace, while many of the A and B riders were already coming down. It really was a perfect day with a great turnout, enthusiastic riders, and perfect weather. Your host, a.k.a. 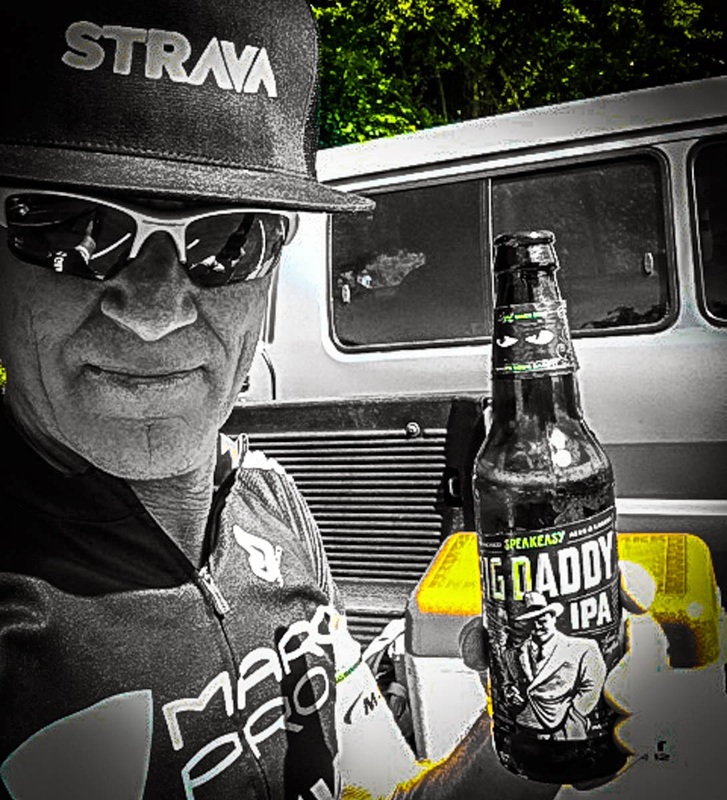 Big Daddy, Tail Gate'n at the finish. Who's your Daddy? We had a small group at Lanesplitter for pizza and beer later on to cap off a wonderful day. Thanks everyone, and hope to see you next year for a new and improved Nifty! All final results below, first, total climbing time in Minutes:Seconds, then KOM on #3 Marin and KOM on final climb #10 Claremont/Vollmer. Only a few did the entire course correctly, but a slightly larger number did all the climbs more or less correct. I had to search for some times as there are a few options on El Toyonal. I've corrected what I could, so here is your list of people who did the climbs more or less correct. * Hybrid Electric Bicycles, Bill with fairing and Zack with trike. 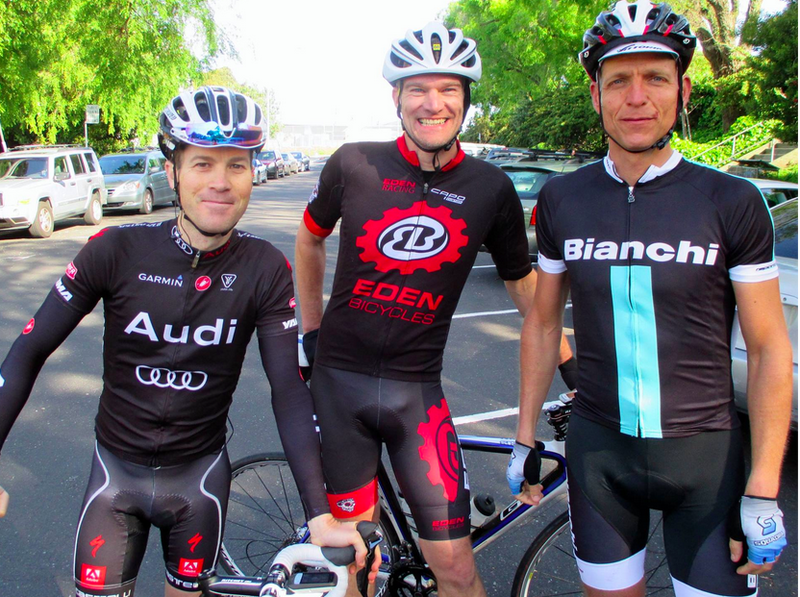 Congrats to Chris Lundy and Josh Dapice, QOM and KOM on Marin! HUGE! Note: Chris Lundy had GPS drift and missed segment. Chris, send me your file and I can fix it and extract your time. Note: Just for fun I may add a few more climb results since I have the data sorted already. Stay tuned. I saw Cynthia out there and was trying to figure out her age ... it's the Asian gene ... hard to tell. I'm amazed at this 15yr old power house! Go girl power! Thanks for putting on such a great event, Paul. I'm looking forward to what you have in store for us next year. This was a boatload of fun that will not be soon forgotten. Thanks, Paul!